After leaving school at the age of 17, C J’s passion for performing as Michael Jackson never left him, so he decided to follow his dream! 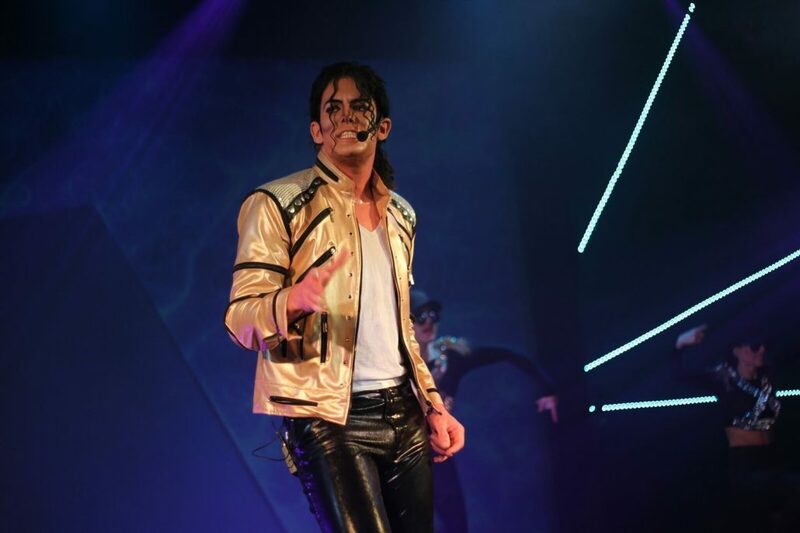 Since then, C J has been building his Award winning Tribute to Michael Jackson for the past 7 years, performing all over the UK and worldwide including performances in Moscow (Russia) and Romania (Bucharest). C J is established as one of the best and most dedicated. C J is established as one of the best, most dedicated and well-respected Michael Jackson Tribute Artistes in the world today selling out shows wherever he performs! In this Show, C J brings to life the greatest entertainer of all time by capturing the electrifying energy of Michael’s live performances which amazed the world for decades. 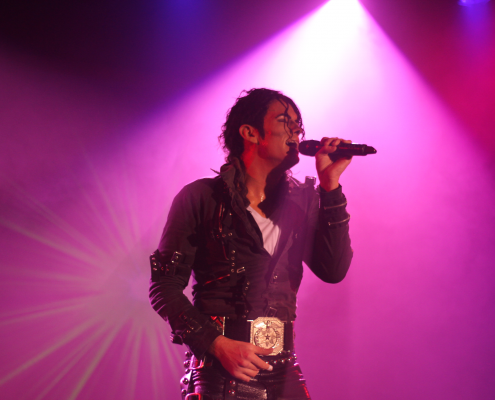 C J’s live vocal ability and accurately choreographed dancing along with his incredible Live band and Dancers will make you believe the King Of Pop has come back to life for one night only. What made Michael Jackson stand out as a vocalist was his distinct voice. His vocal “hiccups” (somewhat like gulping for air or gasping) and breathless stutters were legendary. His grunts were achieved with good technique, and added to an already impressive vocal delivery. His vocals could be fierce and demanding (Smooth Criminal), or mellow and heartbroken (Earth Song). He had the ability to sing both staccato (Smooth Criminal) and legato rhythms in perfect timing. His vocal runs were never overkill and were rapidly fluid. He had the ability to hold notes for extended periods without heavy fluctuation in pitch. His lows were the darkest part of his range, being heavy and ever-so-slightly smoky. His mid-range gained brightness as it ascended, and his belting range had almost a chameleon edge to it, it could adopt different timbres and tones. It could come with a rock edge, a softer, mellow tone, or a light or heavy timbre. This allowed for vocal versatility and transitions through different genres. Contrary to popular belief, he did NOT solely rely on his falsetto register. Of course, MJ used it frequently, but it was not an indication of his inability to sing in full voice. In fact, if you listen to the “Butterflies” acapella, you can hear that all the high notes are sung in full voice and not falsetto. C J has studied Michael Jacksons voice technique from a very young age, we all know that to have exactly the same vocal ability as Michael Jackson is impossible as there is only one ‘King Of Pop’ but as well as his breath-taking dance moves, CJ is said to have the closest ‘Live Vocal’ to Michael Jackson in the UK! No one can ever compare themselves to MJ’s voice and it’s ridiculous to think that anybody ever could, there are a lot of MJ Tributes who mime to songs or sing along with MJ’s voice in the background, this just proves how much of a challenge it is. Michael’s vocal ability was untouchable in my eyes and if people say my tone is just a little similar to Michael Jackson’s then i am one very lucky man.